Smart and digital grids are key components of the European strategy toward a low-carbon energy future. They promise to open the door to a myriad of new applications, in the electricity sector and beyond. A deeper knowledge of what is happening on the ground is needed to capture trends, identify patterns and assess what works and what doesn't within the evolving smart grid ecosystem. Strong differences exist between Member States in the number of projects and the overall level and pace of investment. Distribution system operators are the stakeholders with the highest investment on smart grids projects, but non-traditional actors such as public institutions and other emerging stakeholders are steadily increasing their investment in the field. Smart grid projects. We released four consecutive editions of our mapping of smart grid projects in Europe, complemented by interactive visualisation tools. This rolling review, carried out on a periodical basis by the JRC - in tight cooperation with DG Energy - builds upon inventorying exercises published since 2011. Our catalogue expanded over time from 219 to 950 projects. Smart grid laboratories. We produced two inventories of smart grid laboratories in Europe and beyond: the sample moved from 24 to 100 laboratories inventoried. By analysing the core activities of the surveyed labs, we identified gaps in testing the interoperability of smart grid components, protocols and applications. Smart metering infrastructure. We compared the smart meters roll out plans in the EU Member States and identified some factors behind the success stories, including: the regulatory arrangements, and the technical and commercial interoperability of the systems to be deployed, as well as the safeguard of data privacy and security. Distribution System Operators. Whereas the picture of the tens of actors managing the transmission system is rather clear, the same does not hold true for the thousands of actors populating the distribution grid. We therefore started collecting facts and figures from the distribution world, beginning from the largest DSOs in Europe. This was the most comprehensive data collection exercise on European distribution systems published at that date. Smart grid technologies. We studied several digital grid features including those related to power electronics and telecommunications for smart meters. 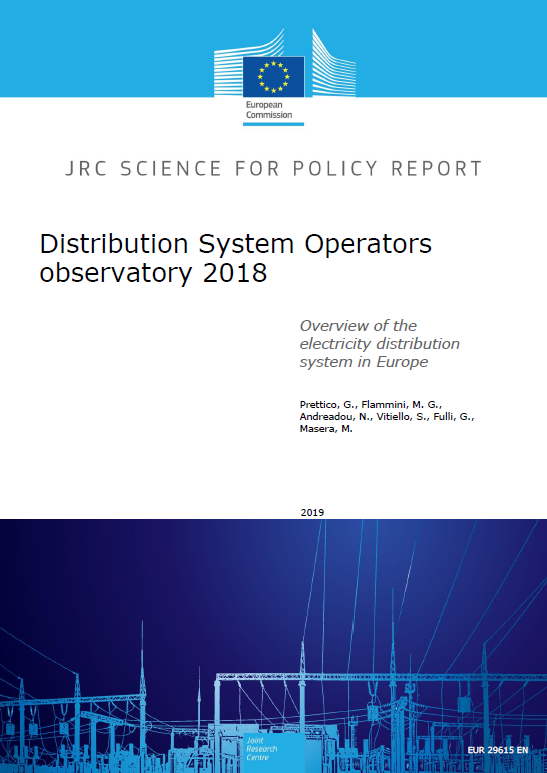 This report presents the results of the 2018 Distribution System Operators Observatory, the most comprehensive data collection exercise on European distribution systems published up to that date. Check also here more information on the DSO data collected and the ongoing distribution modelling developments. 99 out of the 190 largest Distribution System Operators (i.e. those serving over 100,000 customers and hence subjected to the EU unbundling provisions) are covered by our research. The respondents manage more than 88% of the electricity supplied by all large Distribution System Operators. Building upon the collected data: we computed and make available up-to-date techno-economic indicators, which help having a more complete picture of the current status of distribution grids in Europe; we discuss the capabilities and the strategies of the DSOs to cope with more active consumers, to coordinate themselves with Transmission System Operators (TSOs), to integrate EV charging infrastructure in their grids and to deploy smart meters in order to improve system observability; we are developing a new platform (DiNeMo - Distribution Network Model), which, based on real data, can reproduce the representative distribution grid of a given area of interest. The platform will be launched on this website in the coming months. 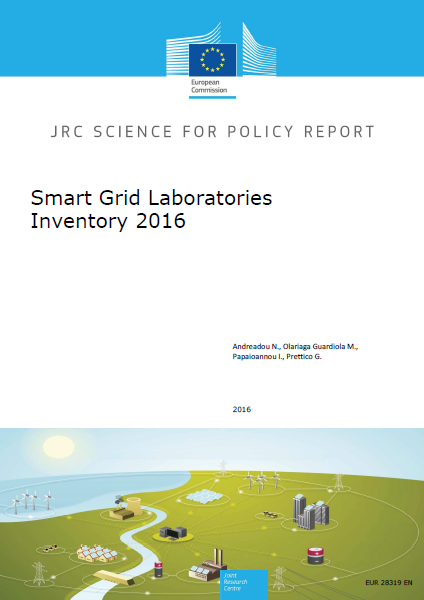 This report is the third release of the Smart Grid Laboratories Inventory. It presents aggregated information about the smart grid topics of research, the technologies, the standards and the infrastructure used by top organisations that hold smart grid activities at a laboratory level. It is an update with respect to previous releases with the scope to present the state-of-the-art on smart grid research and increase the sample of participants. In this release, 20 new labs have been added in our database, thus bringing the total number of covered laboratories to 89. More facts and figures are also available here. Several categories of smart grid research have been identified and information is provided with respect to standards and sub-topics of research. More in detail, the 12 categories of smart grid research addressed are: Distribution Automation, Grid Management, Storage, Market, Generation and DER, Electromobility, Smart Home/ Building, Smart Cities, Demand Response, ICT 16 Communication, Cyber Security and Advanced Metering Infrastructure. 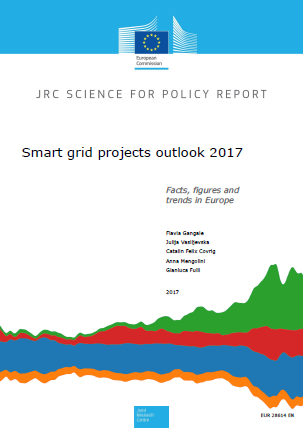 This report presents the latest analyses and insights from the most comprehensive database of smart grid projects across the EU Member States. 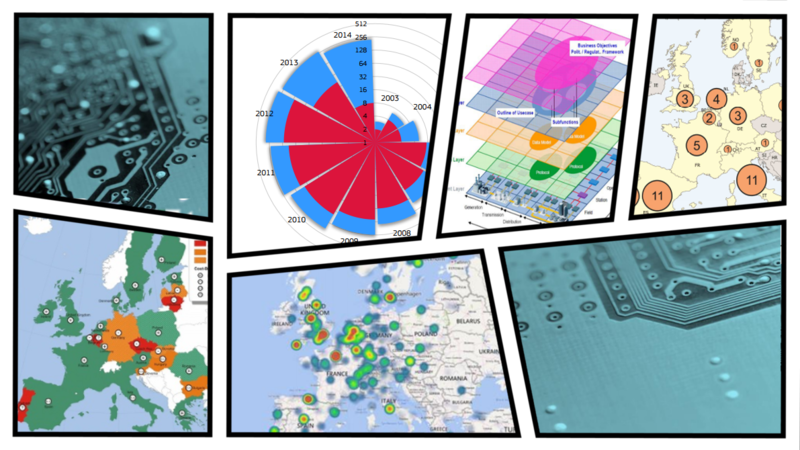 You can also explore our dataset via our interactive visualisation tools. The study includes 950 smart grid projects, launched from 2002 up until today, amounting to €5 billion investment. Private investment is the most important source of financing of smart grid projects, but European and national funding play an important role in leveraging private finance and incentivising investment. The domains with highest investment are smart network management, demand-side management and integration of distributed generation and storage, together accounting for around 80 % of the total investment. Many projects however address several domains at the same time to investigate and test the systemic integration of different solutions. 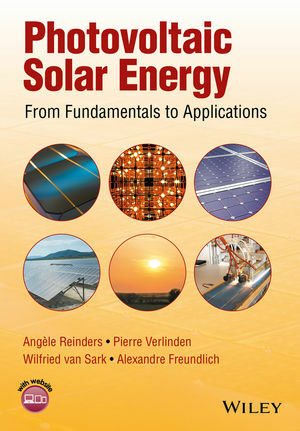 This chapter illustrates progress and options for integrating PV systems in smart grid projects in Europe. Technical solutions already exist to address many of the concerns raised by higher penetration rates of PV in the distribution grid but more research and demonstration projects are needed to assess the viability and cost-effectiveness of the new solutions. The analysis of the projects in the JRC inventory has revealed an increasing interest of project developers in new solutions and techniques to improve the grid hosting capacity via non-conventional solutions and to use PV systems as active suppliers of local ancillary services. PV systems are likely to become more and more active players in the future system operation, supporting the power grid and performing grid-related control functions. 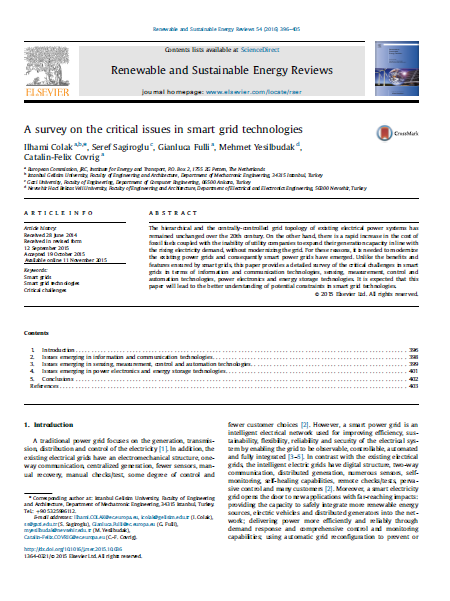 This paper provides a detailed survey of the critical challenges in smart grids in terms of information and communication technologies, sensing, measurement, control and automation technologies, power electronics and energy storage technologies. The hierarchical and the centrally-controlled grid topology of existing electrical power systems has remained unchanged over the twentieth century. On the other hand, there is a rapid increase in the cost of fossil fuels coupled with the inability of utility companies to expand their generation capacity in line with the rising electricity demand, without modernizing the grid. For these reasons, it is needed to modernize the existing power grids and consequently smart power grids have emerged. This paper aims at providing a better understanding of the potential constraints in smart grid technologies deployment. 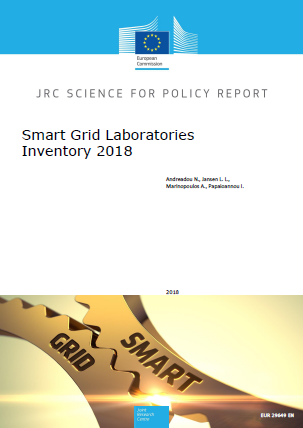 This report collects information about the smart grid topics of research, the technologies and the standards used by top organizations that hold smart grid activities at a laboratory level. For this purpose an online questionnaire has been created and used. The report presents aggregated results that give an insight into the state-of-the-art regarding the smart grid laboratories activities in Europe and beyond. One of the goals of this second release was to increase the sample of the participating laboratories in the survey: in total, we collected data from 100 laboratories (69 laboratories responded to the survey and data from further 31 laboratories were obtained through proactive searches). 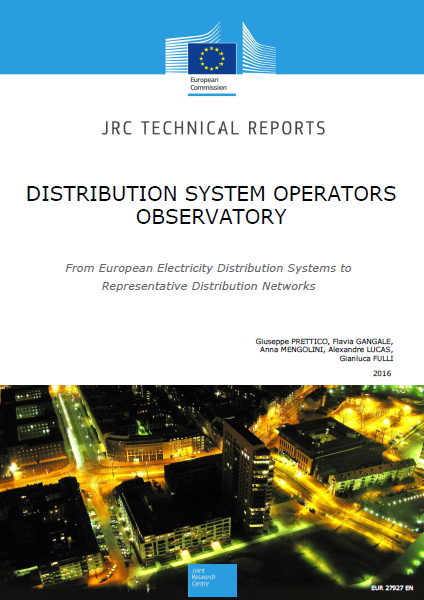 This report presents the JRC data brokering and modelling efforts on the European distribution system operators and their distribution networks. 79 out of the 190 largest Distribution System Operators (i.e. those serving over 100,000 customers and hence subjected to the EU unbundling provisions) are covered by our research. The respondents manage more than 70% of the electricity supplied by all Distribution System Operators serving over 100,000 customers. Building upon the collected data: first 36 distribution system indicators were built, split in three categories: network structure, network design and distributed generation. Then, drawing upon the inventory and the Reference Network Model tool, a total of 13 different representative distribution networks (with different voltage levels) were built: 3 large scale geo-referenced networks (urban, semi-urban and rural) and 10 feeder-type networks with common topologies. 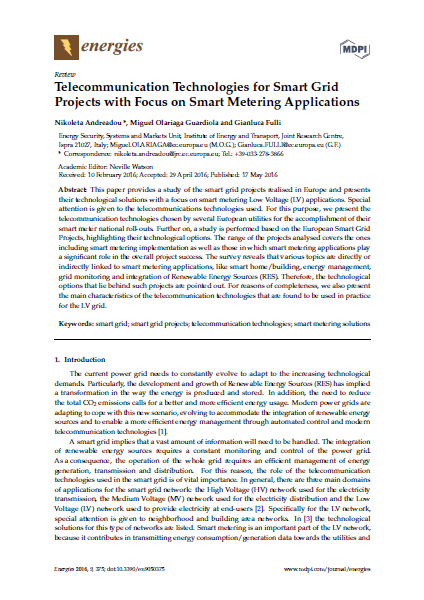 This paper provides a study of the smart grid projects realised in Europe and presents their technological solutions with a focus on smart metering Low Voltage (LV) applications. Special attention is given to the telecommunications technologies used. For this purpose, we present the telecommunication technologies chosen by several European utilities for the accomplishment of their smart meter national roll-outs. 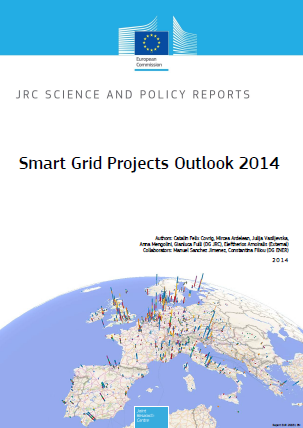 Further on, a study is performed based on the European Smart Grid Projects, highlighting their technological options. The range of the projects analysed covers the ones including smart metering implementation as well as those in which smart metering applications play a significant role in the overall project success. The survey reveals that various topics are directly or indirectly linked to smart metering applications, like smart home/building, energy management, grid monitoring and integration of renewable energy sources. Finally, we also present the main characteristics of the telecommunication technologies that are found to be used in practice for the LV grid. 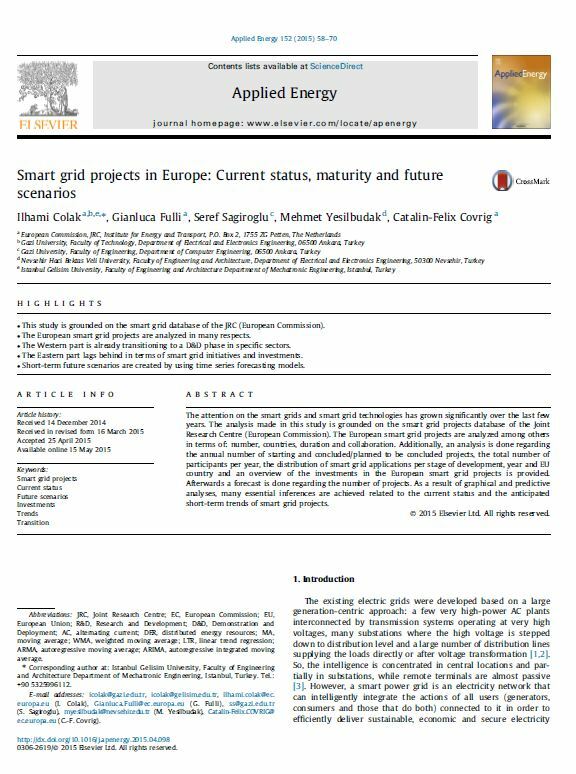 This paper analyses smart grid projects included the database maintained by the JRC. The attention on the smart grids and smart grid technologies has grown significantly over the last few years. The European smart grid projects are analyzed among others in terms of: number, countries, duration and collaboration. Additionally, an analysis is done regarding the annual number of starting and concluded/planned to be concluded projects, the total number of participants per year, the distribution of smart grid applications per stage of development, year and EU country and an overview of the investments in the European smart grid projects is provided. Afterwards a forecast is done regarding the number of projects. As a result of graphical and predictive analyses, many inferences are achieved related to the current status and the anticipated short-term trends of smart grid projects. 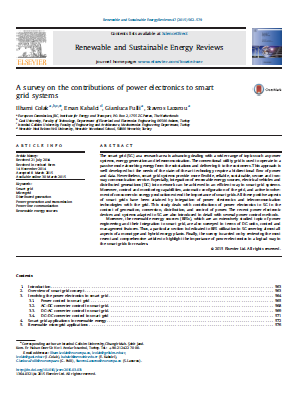 This paper explores the perspective contribution of power electronics in power generation, conversion, distribution and control systems moving towards smart grids.The paper describes the latest power electronic devices and underlying control methods tailored to the smart grid requirements. While conventional utility grid used to operate in a passive mode withdrawing energy from the substations and delivering it to the customers, bidirectional flow of power and data require state-of-the-art technologies. Smart grid systems provide more flexible, reliable, sustainable, secure and two-way communication service. Especially, integration of renewable energy sources, electrical vehicles and distributed generations into network can be achieved in an efficient way in smart grid systems. Moreover, control and monitoring capabilities, automatic configuration of the grid, and active involvement of consumers in energy production extend the importance of smart grids. All these positive aspects of smart grids can be attained by integrating of power electronics and telecommunication technologies in the grid. Research in the smart grid area is dealing with a wide range of topics such as power systems, energy generation and telecommunication. 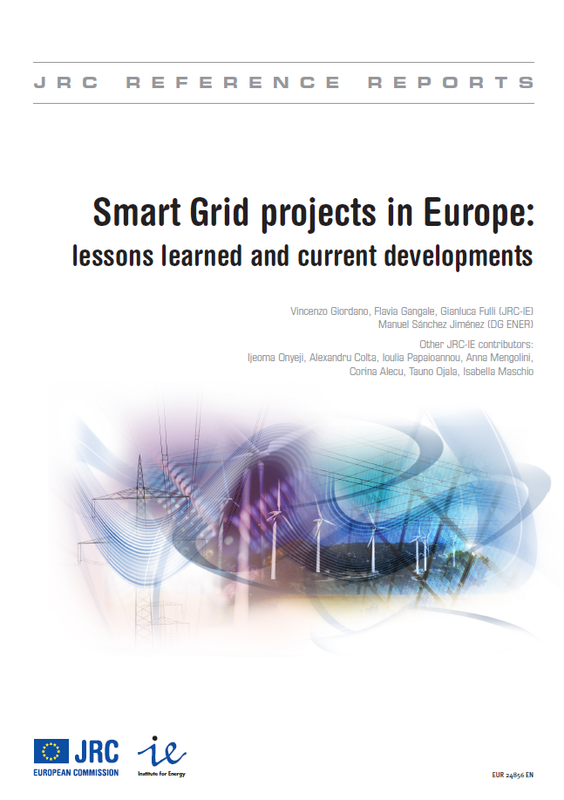 This report systematically collates and disseminates information on the smart grid laboratories active in Europe and beyond. The underpinning survey has been developed by the JRC with the objective of getting a complete overview of all the smart grid technologies operational at laboratory level in the EU and beyond. Additional information is available here. Gathering detailed information about smart grid laboratories activities represents a primary need. In order to obtain a better picture of the ongoing Smart Grid developments, after the successful smart grid project survey initiated in 2011, we launched a focused on-line survey addressed to organisations owning or running Smart Grid laboratory facilities. The main objective was to publish aggregated information on a regular basis in order to provide an overview of the current facilities, to highlight trends in research and investments and to identify existing gaps. 24 laboratories completed the survey and the information provided has been analysed in an anonymous and aggregated way. This report presents analyses and insights from the database of smart grid projects across the EU Member States.You can also explore the dataset and generate customisable maps, graphs and charts via our interactive visualisation tools. This rolling review, carried out by the JRC in tight cooperation with the DG ENER, builds upon the previous two smart grid project inventorying exercises published since 2011. 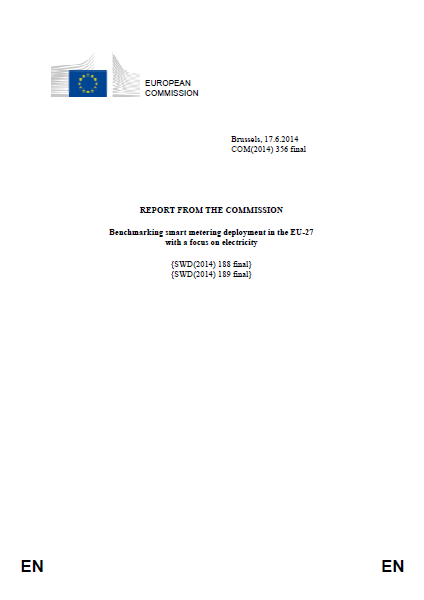 The 2014 edition of the inventory features also some highlights from the "Benchmarking smart metering deployment in the EU-27 with a focus on electricity" and accompanying Staff Working Documents, prepared by DG JRC and DG ENER. This edition of the survey includes a total of 459 smart grid projects, launched from 2002 up until today, amounting to €3.15 billion investment. This study, jointly prepared by the European Commission DG ENER and JRC, measures progress on the deployment of smart meters across the EU. At that date, Member States committed to rolling out close to 200 million smart meters for electricity and 45 million for gas by 2020 at a total potential investment of €45 billion. By 2020, it is expected that almost 72% of European consumers will have a smart meter for electricity (while 40% will have one for gas). While cost estimates vary, the cost of a smart metering system averages between €200 and €250 per customer, while delivering benefits per metering point of €160 for gas and €309 for electricity along with, on average, 3% energy savings. The overall successful roll-out of smart meters across the EU is dependent on criteria largely decided by Member States. This includes regulatory arrangements, and the extent to which the systems to be deployed will be technically and commercial interoperable, as well as guarantee data privacy and security. There is also no EU-wide consensus yet on the minimum range of operations required by smart meters. 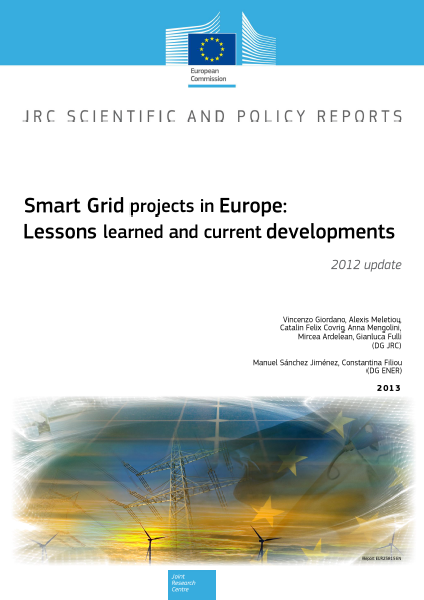 This report is the 2012 update of the inventory of Smart Grid projects in Europe carried out in 2011. Project data are used to support analysis on trends and developments. The resulting final database includes 281 smart grid projects and around 90 smart metering pilots and roll-outs.The report looks into several aspects of the smart grid landscape to describe the state of the art of their implementation, the emerging hallmarks of the new electricity system and the foreseeable developments. The core of our analysis is on smart grid projects. Smart metering development, which is at a more mature stage, is analysed only at aggregated national and European level (field information from individual smart metering projects is used only to support the analysis). 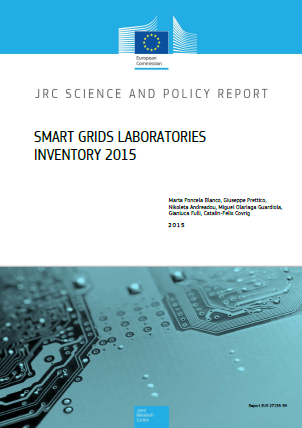 This report inaugurated our inventorying of smart srid projects in Europe. The report looks into several aspects of the Smart Grids landscape to describe the state of the art of their implementation, the emerging hallmarks of the new electricity system and the foreseeable developments. The final catalogue includes 219 smart grid and smart metering projects from EU27 Member States, Switzerland and Norway. The overall investment amounts to over €5 billion. The Report describes how smart grid projects address and respond to the EU energy policy challenges and to point out the main benefits and beneficiaries. Particular attention is devoted to identifying the most important obstacles to investments and the possible solutions that could help to overcome them.